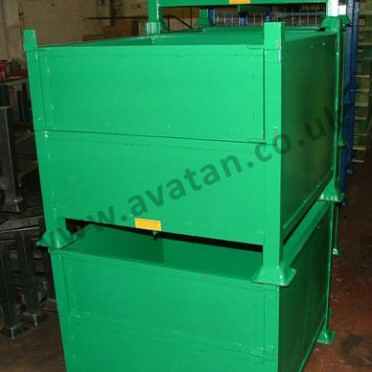 Traditional steel stackable stillage fitted with a half drop hinging gate on one or more sides. 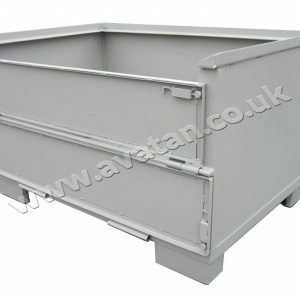 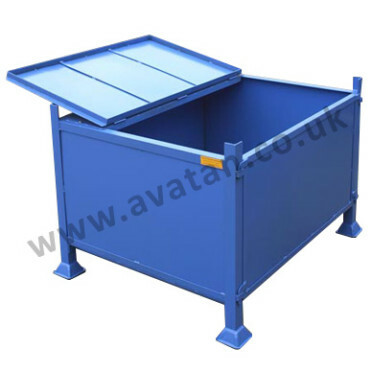 Ideal for the storage and handling of smaller components in a work in progress environment. 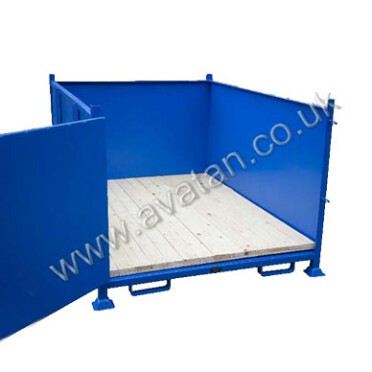 Gate may be opened and contents accessed while the stillages are stacked. 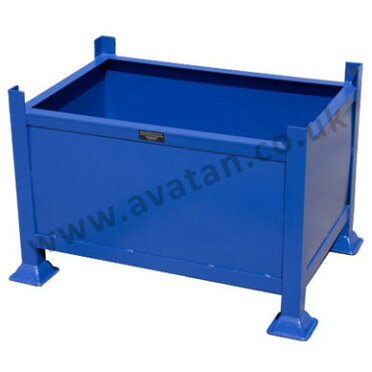 Manufactured to order from mild steel angle or box section, these metal pallets may be manufactured in all sizes and quantities to suit most storage needs.